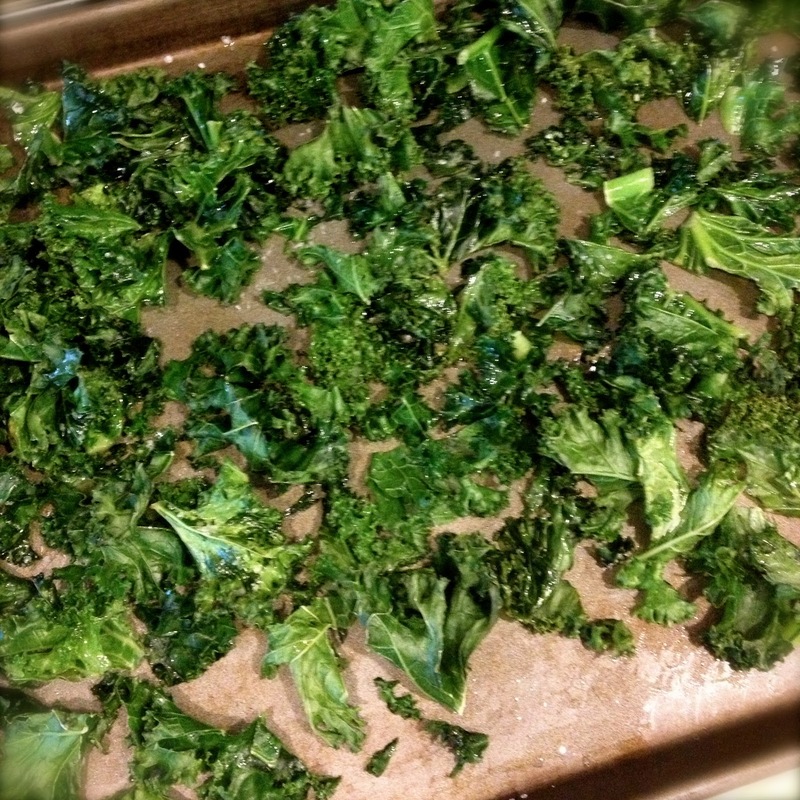 I'm trying to eat very low-carb to shed some lbs but was dying for some chips the other day. 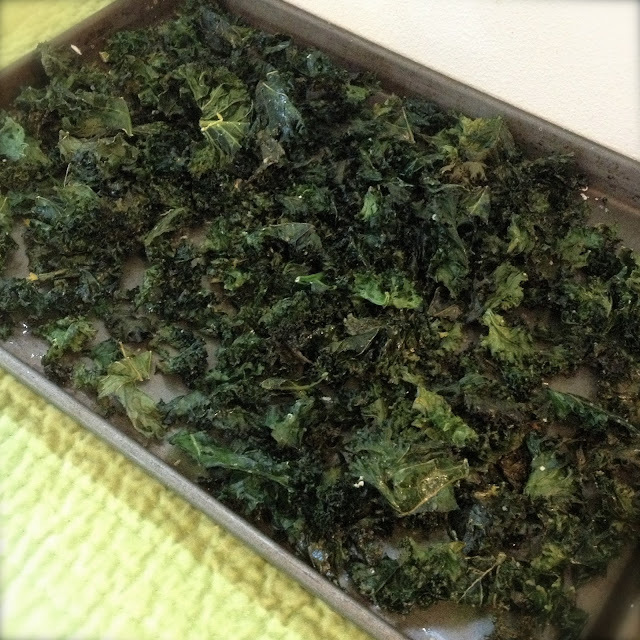 I hadn't made kale chips for a while so I thought I'd try to add some tang to my usual recipe since I love all things lemon. 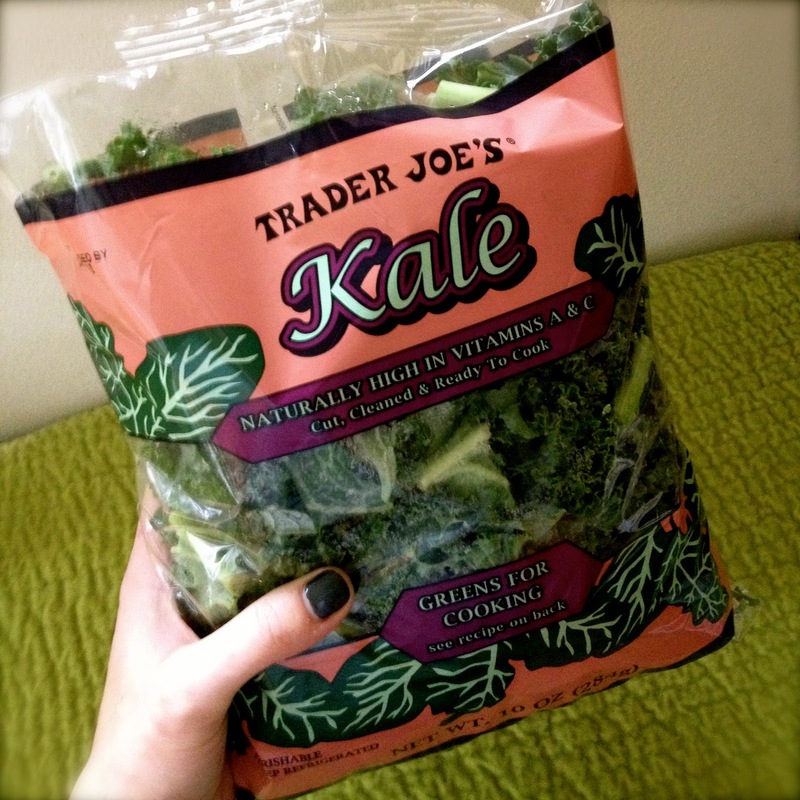 These hit the spot, and the combination of salty & bitter was awesome. Dare I say...they actually had a little bit of a desserty bite to them?? 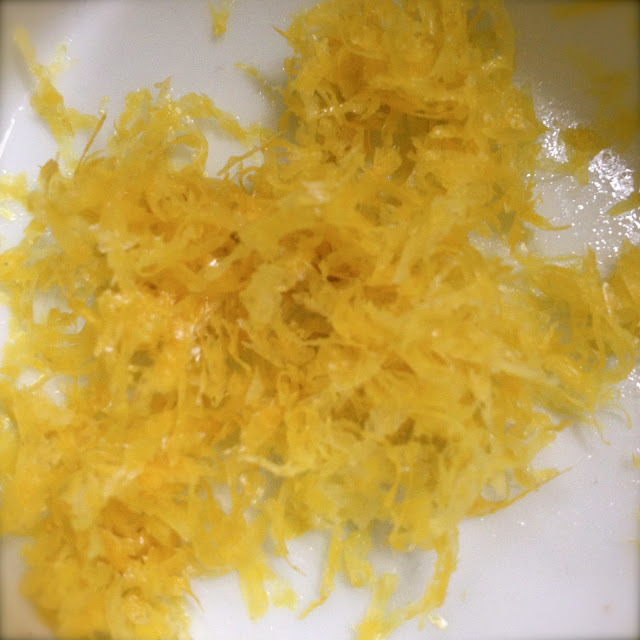 crispy, salty, delicious, good for you, & fresh with a zesty lemon bite! 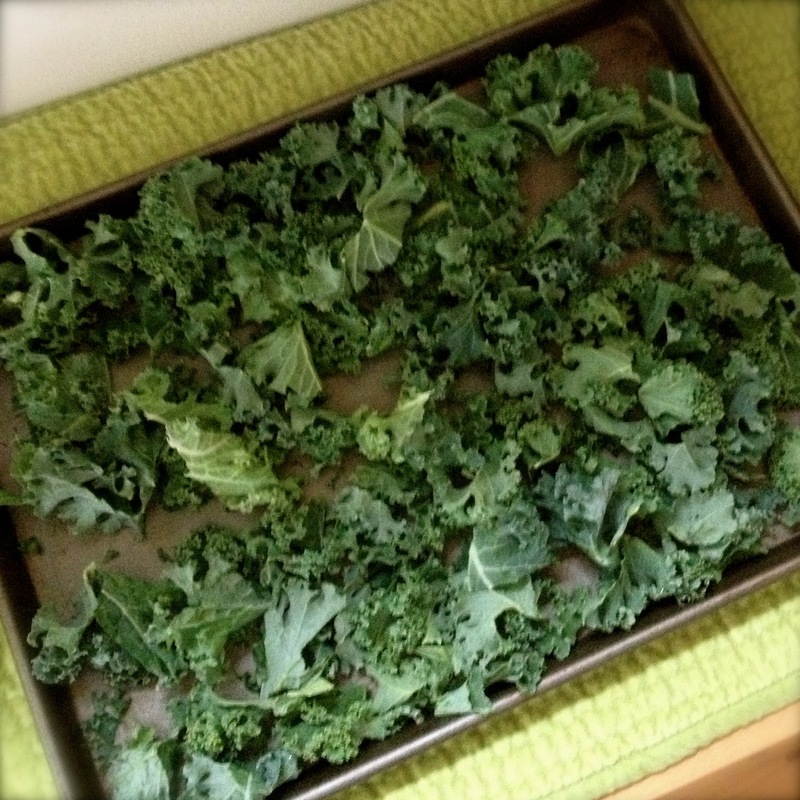 Spread kale in a single layer onto a baking sheet (you may need two). 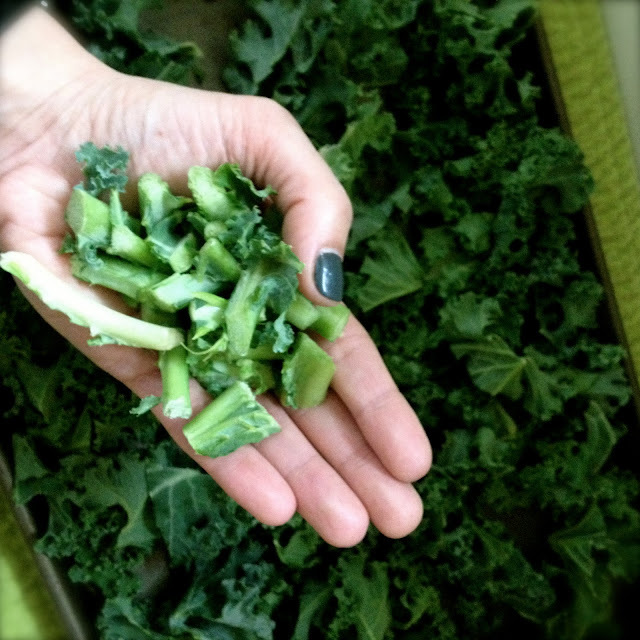 Discard any stems or woody pieces. 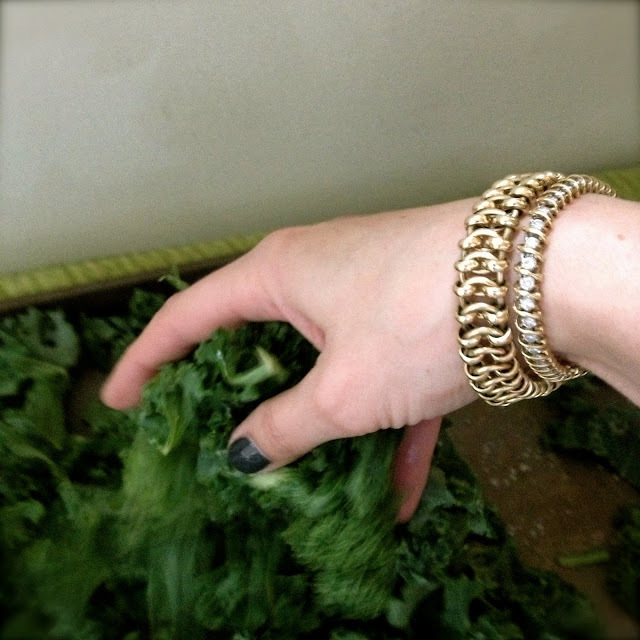 Those won't crisp up. 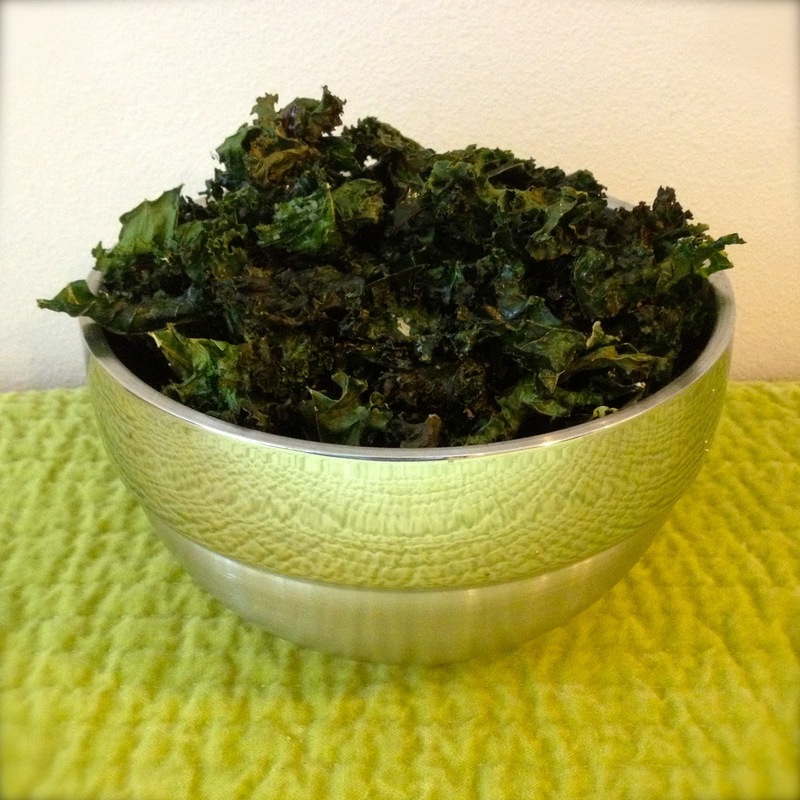 Sprinkle lemon zest all over fresh out-of-the-oven crispy kale. Toss with your hands or a spatula. Preheat oven to 300 degrees. 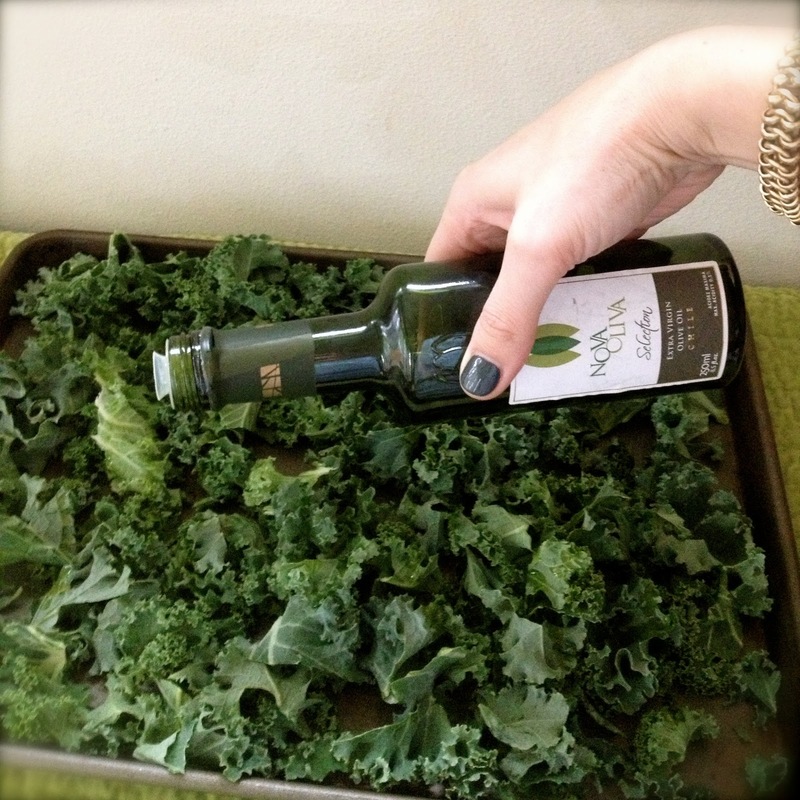 Spread the leaves of curly or flat-leaf kale in a single layer onto a baking sheet (you may need two). Drizzle a couple of tablespoons of extra-virgin olive oil and toss with your hands to coat. 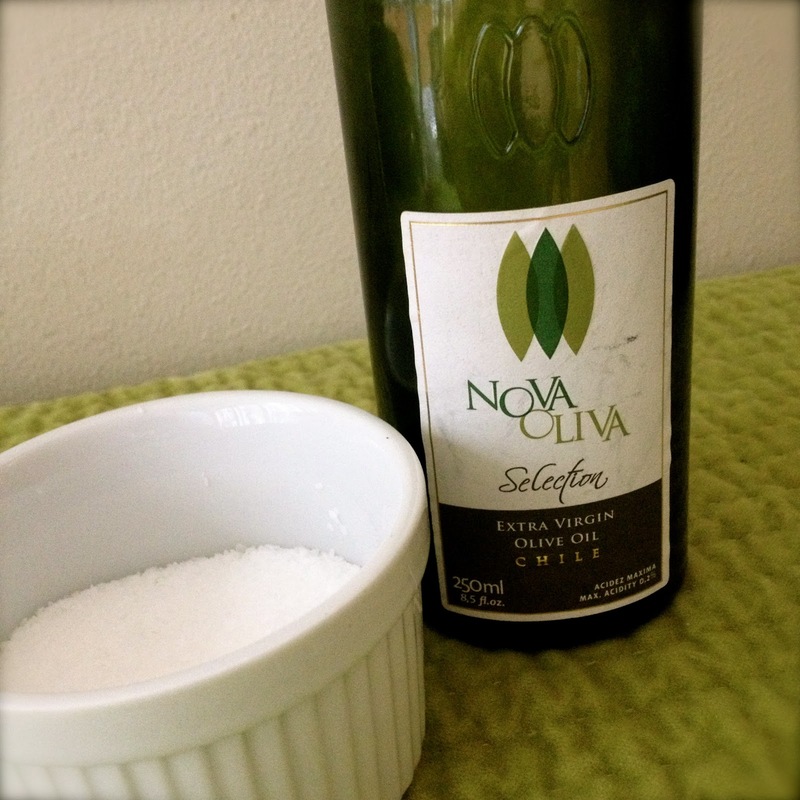 Sprinkle on a teaspoon of course salt (I prefer kosher - always). Bake 30 minutes, stirring half way through. 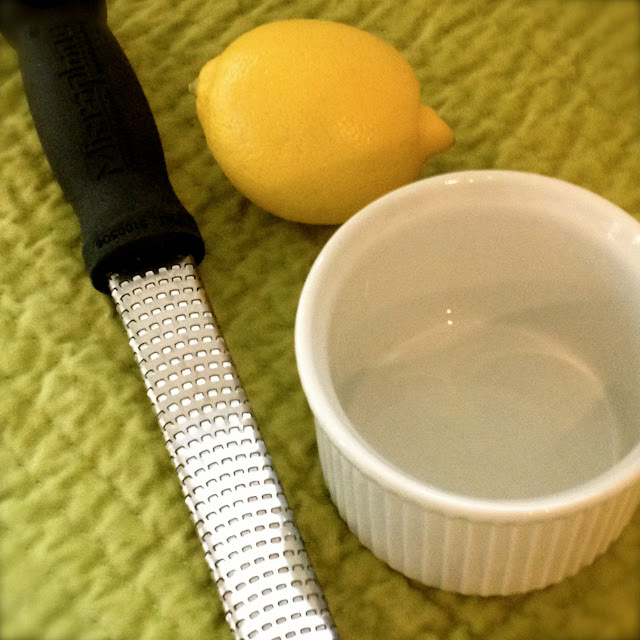 While baking, grate the zest of one lemon. 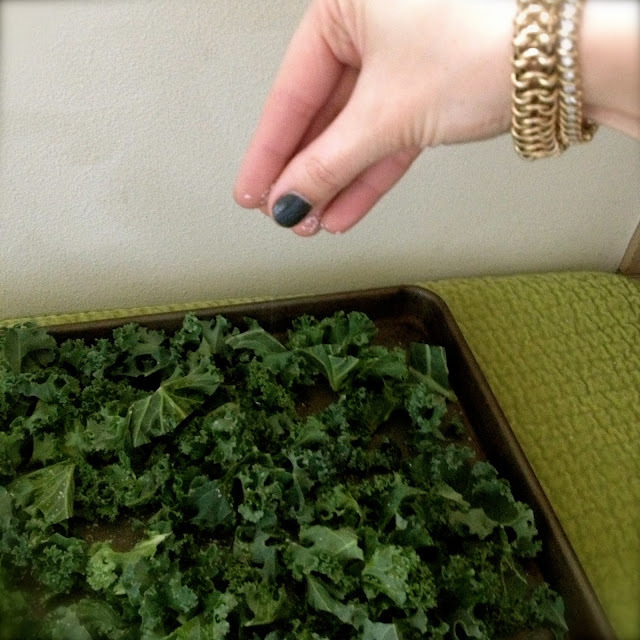 Sprinkle lemon zest all over fresh out-of-the-oven crispy kale. Toss with your hands or a spatula.